Beautiful china should be celebrated, not hidden away. 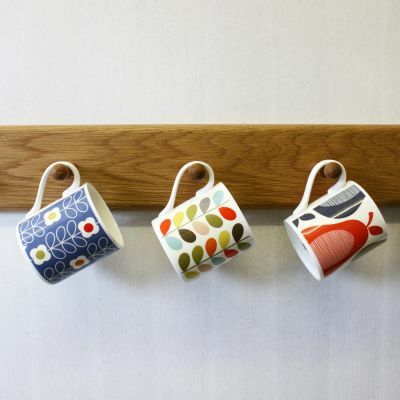 This 2 in 1 design allows you to display cups within easy reach and place their saucer on the shelf above. Whether you favour contemporary, vintage or retro china there’s a colour to suit. 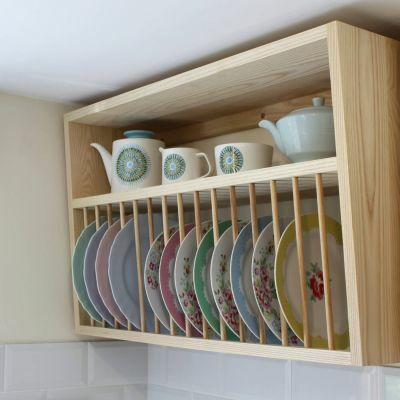 The oak pegs we use are shaped especially for hanging cups from and the shelf is grooved to keep your precious plates and saucers secure. Oak and furniture lino. 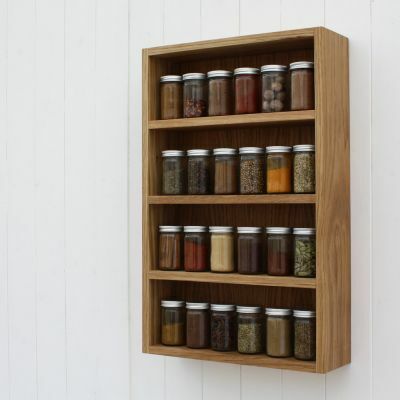 Finished with Danish oil.